Teucrium chamaedrys is native to many parts of Europe, the Greek Islands, and Syria. The name is believed to be a corruption of chamaedrys, which comes from the Greek chamai meaning ground, and drus meaning oak. The leaves do resemble oak leaves. 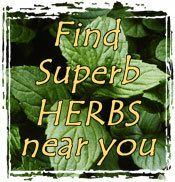 It has an ancient reputation as a cure for gout. Emperor Charles V is said to have been cured of gout with this remedy. He took a decoction of germander for sixty days. Harvest and Use: As an ornamental, germander is a showy plant for low edging and a lovely miniature hedge for a knot garden in areas too cold to grow boxwood. Germander's rose-colored flowers appear in midsummer and last throughout fall. It prunes very successfully for bonsai subjects, and it is also effective on steep banks because of its creeping roots. The leaves turn reddish in autumn and during dry spells. Unlike boxwood, it has other uses. Its garlic-like aroma makes it useful in herb wreaths to freshen a room. Medicinally, an infusion is helpful in the treatment of gout. In the past, it was used as a tonic for intermittent fevers and recommended for uterine obstructions. 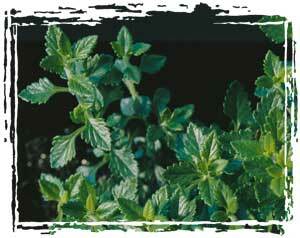 Possessing qualities similar to horehound, an infusion with honey was used for asthmatic conditions and coughs. Germander foliage and flowers are usually harvested with hand pruners when the plants are flowering, and then the leaves and flowers are dried to use for crafts. Cultivation and Propagation: Germander is a shrubby perennial with a creeping rootstock, upright to spreading stems, and shiny, oval, evergreen leaves that resemble oak leaves. They are aromatic when crushed. It grows tall and spreads from 4 to 10 inches. Small, rosy, 2-lipped flowers appear in summer and last the entire growing season. Germander likes average, well-drained soil with a pH of 6.3 in full sun or partial shade. It does well in containers in full sun. Germander is hardy to zone 5, but mine do well in zone 4 in a sheltered location, mulched in the fall for winter protection. Prune well in the spring to encourage branching and to shape. It can be started from seed, but it might take up to 30 days to germinate. It is best to buy plants from a reputable nursery. Once established, it can be propagated by cuttings in spring, layering during the growing season, or division in the fall. Because of its trailing habit, the plant's stems can be easily pinned to the ground and will automatically put out roots. Space plants a foot apart. Pests: Can get mildew, leaf spot, rust, and mites, according to authorities, but mine never get any of those.